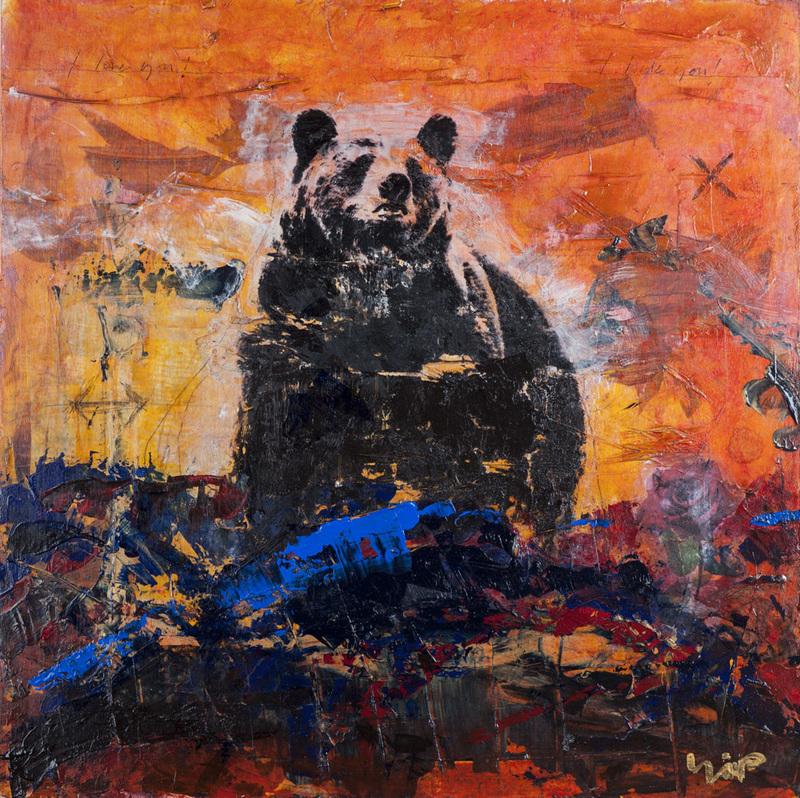 This painting depicts the sin of ‘anger’ through the representation of a grizzly bear. I inscribed the words ‘I love you’ on the upper left and ‘I hate you’ on the upper right of the painting. Anger or wrath has it’s source from emotion, where the intrinsic nature of anger stems from love that has gone astray.